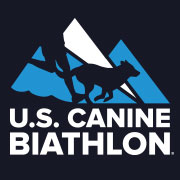 Carolina Poodle Rescue staff, volunteers, and friends will be participating in the annual U.S. Canine Biathlon on Saturday, May 19th and Sunday, May 20th in Anniston, AL. Together, our team is running to raise awareness and funds to support our programs, including Luna’s Legacy Medical Fund and our SOS (Save Our Seniors) program. Come out and support our runners of, even better, join our team. It’s going to be a blast!